Or as low as $333.17 per month over 6 months. Apply Now. The Denon HEOS SuperLink further builds on the success of HEOS Link and is specifically designed for the dummy specialist; All four HEOS zones are supported from a single 1U frame (4.5 cm high). Thanks to the solid operating system of popular manufacturers like Control4, Crestron, RTI, URC and ELAN, the HEOS SuperLink can be customized to almost any home-theater system of professional quality. 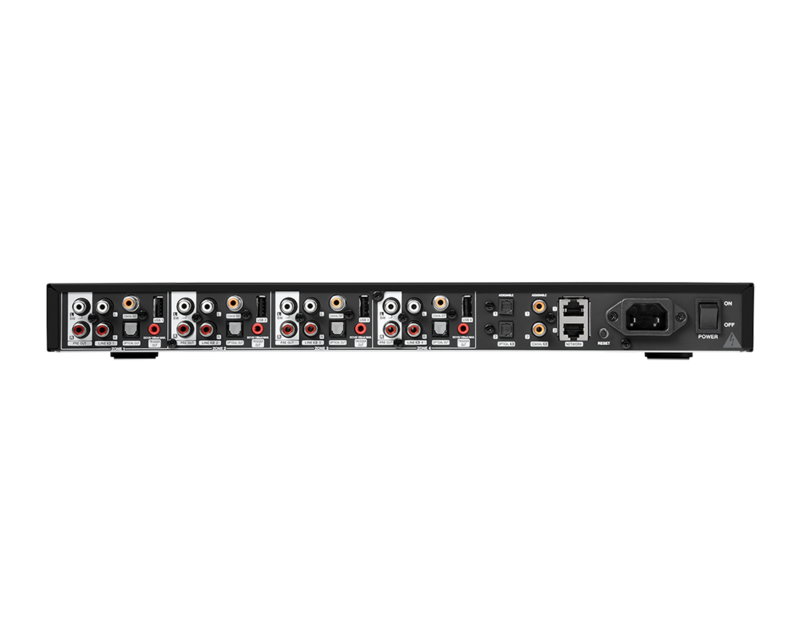 The Denon HEOS SuperLink further builds on the success of HEOS Link and is specifically designed for the dummy specialist; All four HEOS zones are supported from a single 1U frame (4.5 cm high). Thanks to the solid operating system of popular manufacturers like Control4, Crestron, RTI, URC and ELAN, the HEOS SuperLink can be customized to almost any home-theater system of professional quality. Each room can have its own HEOS sound. Or group multiple speakers to fill the house with the same number. Multi-room means multiple possibilities. Each zone of the Denon HEOS SuperLink has a stereo amplifier output jack and each zone can be adjusted for stereo or mixed mono outputs. 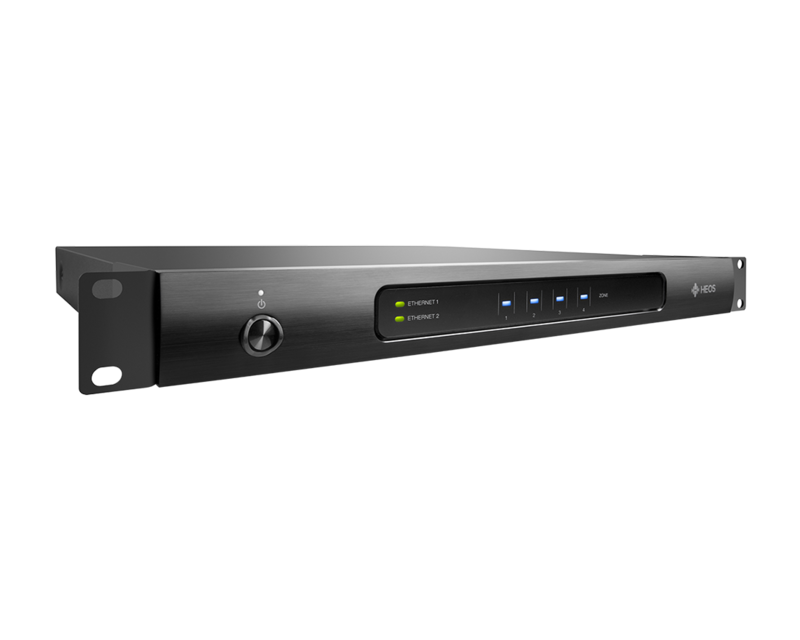 The matrix switching system includes four optical digital inputs, 4 coaxial digital inputs and 4 analogue stereo outputs, all of which can be assigned to all zones, and each zone has a dedicated USB port to connect to an external USB drive. The Denon HEOS SuperLink includes almost any combination of speaker configurations and includes built-in DSP high-pass / low-pass filters – set an output to full range, subwoofer or satellite speaker mode, with adjustable crossover points. Dual RJ-45 Ethernet LAN ports are included to connect to the network and share the Internet connection with other devices, and the Denon HEOS SuperLink is compatible with third-party operating systems. 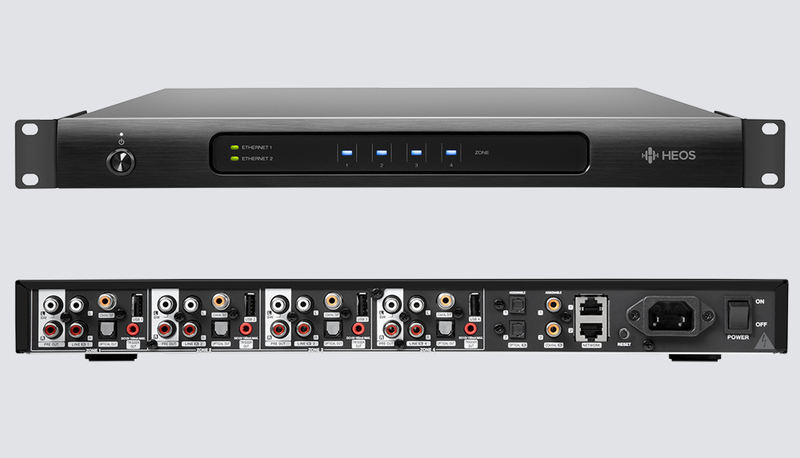 The Denon HEOS SuperLink has detachable feet and loose mounting brackets, so it can be placed on a rack or on a shelf. Once the Denon HEOS SuperLink is mounted and connected, the installation and configuration is easy and fast via our HEOS app (iOS, Android and Kindle Fire). It’s amazing how fast you can start listening to your HEOS speakers. Place your speakers and within minutes you will listen to your music. It’s really that simple. – Dedicated preamplifier output for each zone, including analog and digital (optical / coaxial) outputs to connect to an existing stereo system or external power amplifier. – Analogue pre-out can also be switched with an “LFE / Subwoofer” configuration to connect to a powerful subwoofer in each zone. – With the HEOS app, you can choose popular streaming services like Spotify, TuneIn, SoundCloud, TIDAL, Deezer, Napster and Mood: Mix. More services will follow soon. – WMA: up to 192kbps. – AAC and mp3: up to 320kbps. – WAV, ALAC and FLAC: up to 24-bit / 192kHz. – HEOS Super Link supports JPG, PNG, BMP and GIF album art image formats. 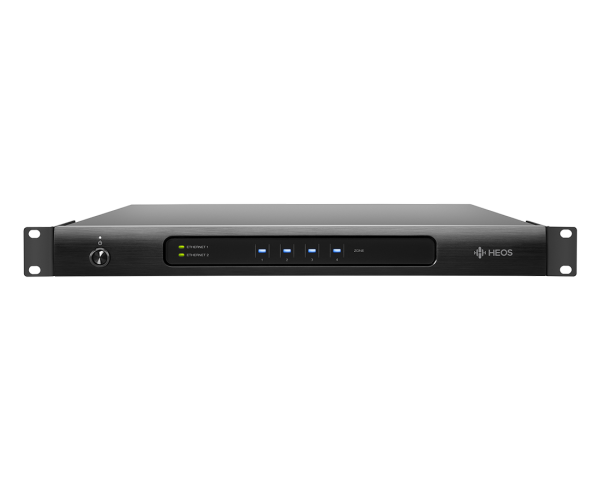 – HEOS Super Link has 4 built-in USB ports. Music on a USB drive can be played in any of the HEOS Super Link zones, or on any or all other HEOS players on your network. The availability of music services may vary by region. At the time of purchase, all services may not be available. Over time, services may be added or terminated. This is the choice of music service providers or others. – Connect to the network through one of the two wired RJ-45 LAN ports.